The allied victory in World War II can be as much credited to the brave men and women who fought with weapons as it can the scientists and mathematicians who successfully broke the secret codes used by the Germans, including the famous Enigma machine. 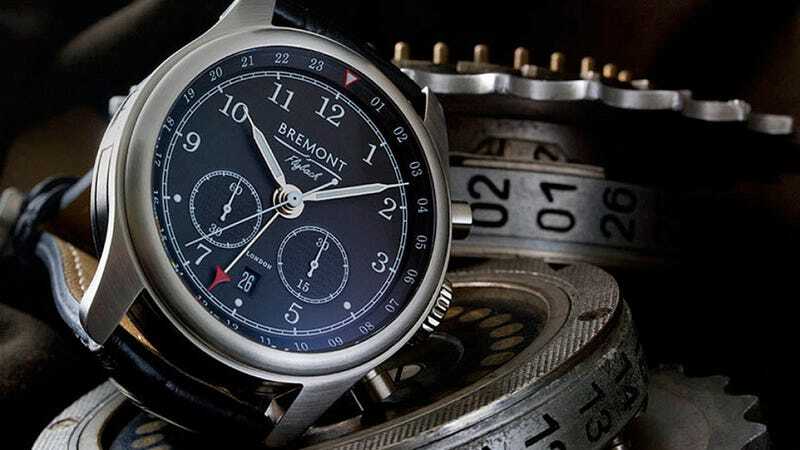 And Bremont is commemorating that accomplishment with a limited edition timepiece called the Codebreaker that incorporates elements of Britain's code-breaking efforts. During the war, a facility called Bletchley Park was converted into the allies code-breaking HQ, and Bremont's watch actually incorporates elements from that now historical landmark. The Codebreaker's crown is inlayed with pine taken from Hut 6, the building where Alan Turing cracked the Enigma machine, and the watch's automatic movement's counterbalance is made from parts of an actual Enigma device.